Leaving the idyllic charm of the old country behind them, Fiat boldly crosses the pond and introduces their new fleet of cars to America. 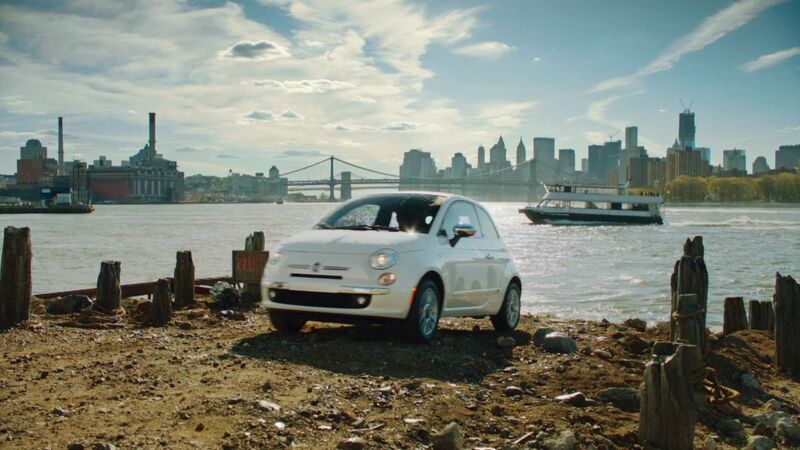 The 'Immigrants' campaign, produced by The Richards Group, showcases Fiat's fun, sporty side with VFX help from Mill NY. "The spot was shot in the beautiful town of Amalfi on the south coast of Italy. Most of the effects were created by shooting live action elements and combining them in Flame. We actually drove a car off the pier in Amalfi which was a lot of fun and a bit of an adrenaline rush," shares 2D Lead Artist, Iwan Zwarts. "One of the biggest challenges we faced on this job was to make the cars submerge in post production. So lots of elements were shot to help achieve this effect. There was also a considerable amount of rig removal done on a lot of the shots where the cars interact with the water." "We also built an additional 4 cars in CG to populate the backgrounds with. Interaction elements were captured and used to integrate the CG into the shots. Tying it all together is the vibrant grade done by Damien Van Der Cruyssen, our in-house colorist," adds Zwarts. "Directed by Robert Logevall and shot by Tobias Schliessler, this was a really fun and interesting project to work on," concludes Zwarts. Fiat's design for the new world is here and it's ready to party!